Nse Etim is a popular Nigerian actress who came into prominence in 2008 for her role in Reloaded. She was nominated for Best Actress in a Leading Role at the 5th and 8th Africa Movie Academy Awards for her role in Reloaded and Mr. and Mrs. respectively. In 2014, she won the Best Actress in a Drama award at the 2014 Africa Magic Viewers Choice Awards for playing “Nse” in Journey to Self. Born in Akwa-Ibom state, Nse attended Awa Nursery School Kaduna for her elementary education. Along the line, she had to change to Command Children’s school, Jos as a result of her father’s work transfer to Jos. For her secondary education Nse attended St. Louis College Jos, Federal Government College, Jos and Federal Government College Ilorin respectively. After her secondary education, she bagged a Bachelor’s Degree in Theatre Arts from The University of Calabar. 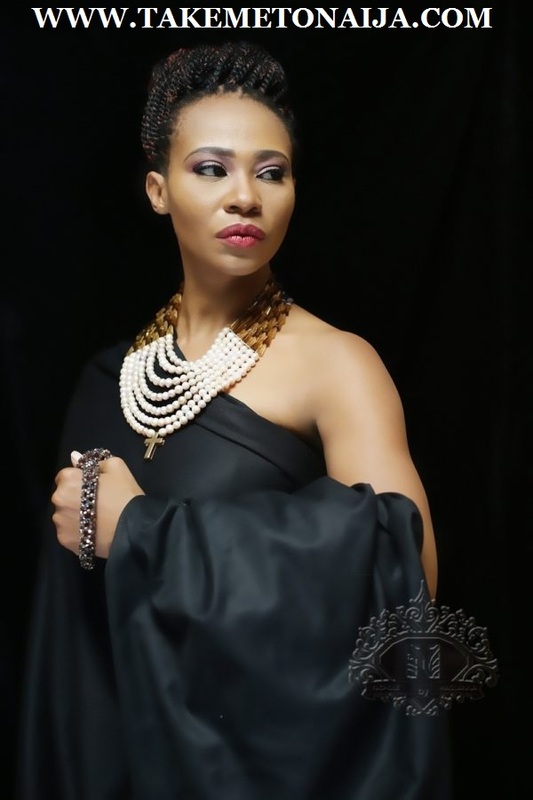 Nse Ikpe Etim is one of the few Nigerian actresses who didn’t just rush into the industry to make some money or fame; for her, it was a true passion for acting that led her into the industry. At 18, Nse started acting on stage at the university but after graduation, she took a break from acting to work in the Banking and Business sectors. She also went into the fashion industry and improved her culinary skills. Her first television appearance was in the family soap Inheritance. Her major comeback into the movie industry was with Emem Isong’s Reloaded in 2008 where she starred alongside Ramsey Nouah, Rita Dominic and Desmond Elliot.She followed it up with Mr and Mrs in 2011. These two movies shot Nse into limelight and stamped her name as one of the actresses to watch out for. Nse has acted in numerous successful movies such as Reloaded, Guilty Pleasures, Kiss and Tell, The Meeting, Mr and Mrs, Phone Swap, Broken,Journey tos Self, Black November to mention but a few. In January 2013, Nse Ikpe Etim got engaged to Clifford Sule her childhood friend and a senior lecturer with the Middlesex University, UK. At 39, she got married to her childhood friend Clifford Sule on February 14, 2013 at a Lagos registry followed by a traditional wedding ceremony in her hometown of Akwa Ibom State some months after the civil union. She currently resides in London with her husband, a Senior Lecturer at Middlesex University . Apart from acting, Nse also has a passion for sports. She is a die-hard fan of Manchester United and also enjoys cooking, reading, writing and playing scrabble. Your first day on set, how was it? Now which of the first day? Because I have had two first days on set. Now is it from the early days when I first came in, or my come back which was Reloaded by Emem Isong? Which one of them? Reloaded (smiling)…For the first one, my first day on set wasn’t anything spectacular. I did it, you know fresh out of school. You are thinking about a lot of things. You know you are not sure, and then being a rebel, I didn’t want to be a banker, which was what my mother wanted me to do. So this was my way of saying, I’m not going to do what she wants me to do. I didn’t even know what I wanted to do. But it was just a case of ‘okay, just try’. And then I tried. The set I enjoyed back then was when I did ‘Scars of Womanhood’ with Basorge Tariah Jnr. Then in 2009 I now did Reloaded. And I always say my coming back into the industry was not designed and planned. My passion and hobby has always been my kitchen, writing and all that. For me, I was writing here and there. Emem brought a script and I’m looking at it like ‘what can we do because I want to play this role’. And then she starts cursing me in my kitchen. And I said to her what is wrong with you; I’m not an actor. And of course she said I didn’t have faith in myself and all sort of stuff. And I said ‘okay’ and finally she was able to convince me and I did it. On the set of the movie Phone Swap, we learned you were injured. How did it happen? For two roles, she got several awards and nominations such as Africa Movie Academy Awards (AMAA) 5th and 8th Edition (Best Actress in a leading role), 2014 Africa Magic Viewer’s Choice Award (Best Actress in a Drama), 2009 Best of Nollywood Awards (Revelation of the year (Female)), ZAFAA Awards (Best actress in a supporting role), 2010 Best of Nollywood Awards (Best Actress in a leading role), The Eloy Awards (Actress of the year), 2012 Nigeria Entertainment Awards (Best Lead actress), 2013 City People Entertainment Awards (Best Actress of the year) and a nomination in the 2014 Golden Icon Academy Movie Awards.